Students, nurses, and healthcare promoters can now put theory to practice in the SimLab, or simulation laboratory, a safe environment to learn, practice, critically think and be tested on skills before attempting at the bedside. Manikins representing newborns, infants, children, and adults provide learning opportunities through simulation exercises. Learners gain clinical experience without the consequences of making a wrong decision. The SimLab can provide the evidence-based learning methodology of Helping Babies Survive in which purpose-built simulators are used to teach the skills needed to properly care for newborns struggling to breathe at birth as well as teaching health care promoters essential newborn care practices. The SimLab is equipped with 8 sets of infant, child, adult CPR manikins and French-speaking AEDs in order to train health care promoters to respond quickly and provide CPR to someone who needs it. Sudden cardiac arrest is a global problem and it is a leading cause of global mortality. The hospital’s local staffhave completed training in basic CPR along with training in basic electrocardiography (ECG). 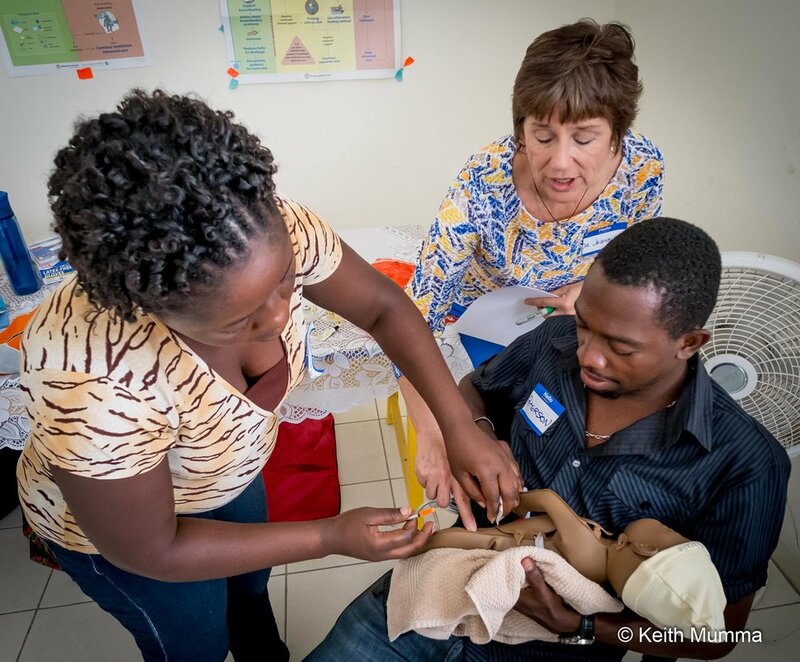 Volunteer nurses and doctors from the United States regularly come to the SimLab to provide specialized training and network with the local health care promoters and schools of nursing and medicine. Funds to purchase the simulation equipment have been generously provided by the United Methodist Women.